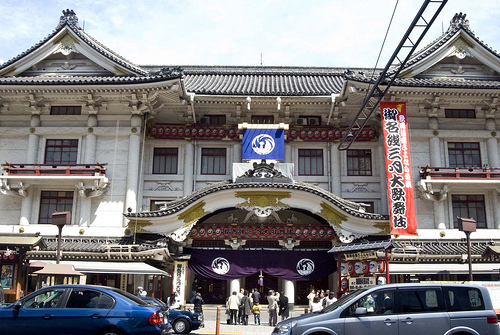 Kabuki is the traditional theater of Japan. Let’s go to see it together! Kabuki is a traditional stage production in Japan that is globally famous. Even if you’d never seen it, you might have heard of it! It is said to be the most popular traditional art of Japan. 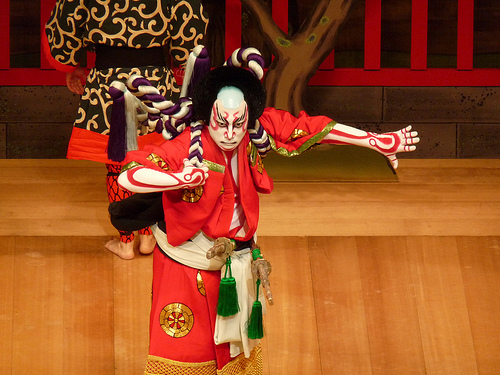 Kabuki was declared an intangible cultural asset by the UNESCO, as the national theater of Japan. The beginning of Kabuki is the Edo era of the 17th century. It is a beginning that a woman called Okuni Izumono performed the prayer’s dance in Kyoto. 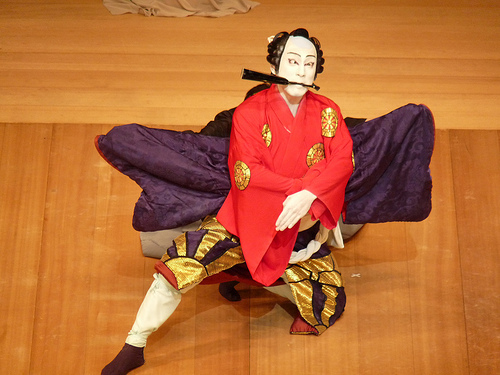 Originally Kabuki was played by men and women. However, it came to be played only in male actors by the problem in public morals. The actor playing a woman position is called “a female-impersonator”. Besides, as for the strong duty of the man, the gentle duty is called “love-affair program of kabuki” “a fighting scene”. In Kabuki, the costumes, makeup, and direction are all very unique. The first example of this is the Mie. At the height of an important scene, the actor will pause and glare at the audience. This is effective in grabbing the audience’s attention. Another is Kumadori, a special technique in applying kabuki makeup. Initially the bright red colors were drawn on the face to depict exaggerated blood vessels. The colors used during the makeup process is different for every character. Finally, the structure of the stage. There is a hanamichi, or an elevated passage that weaves through the aisles of the gallery. Actors enter and leave a scene on this elevated stage, and sometimes stop and perform very close to the audience. There are other contraptions on stage, like a Seri, that allow for actors to enter from the center of the stage, and Mawari-butai, that rotates out an entire set for quick transitions. The theater for exclusive use of famous Kabuki is “Kabukiza”. Kabukiza was opened in 1889. Kabukiza played an active part as a theater on behalf of Japan while experiencing a fire and war damage. And I was demolished once and it was rebuilt newly in 2013 and opened it as deterioration advanced. When you came to Japan, please go to visit it! Ohaguro (blackened teeth) was fashionable back in the day!